Three Rooms Press, 9780988400894, 219pp. 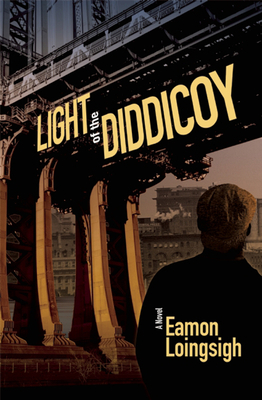 Light of the Diddicoy is the riveting and immersive saga of Irish gangs on the Brooklyn waterfront in the early part of the 20th century, told through the eyes of young newcomer Liam Garrity. Forced at age 14 to travel alone to America after money grew scarce in Ireland, Garrity stumbles directly into the hard-knock streets of the Irish-run waterfront and falls in with a Bridge District gang called the White Hand. Through a series of increasingly tense and brutal scenes, he has no choice but to use any means necessary to survive and carve out his place in a no-holds-barred community living outside the law. The book is the first of Irish-American author Eamon Loingsigh's Auld Irishtown trilogy, which delves into the stories and lore of the gangs and families growing up in this under-documented area of Brooklyn's Irish underworld. Novelist and poet Eamon Loingsigh's family emigrated from Ireland in the late 19th century, and his grandfather and great-grandfather ran a longshoreman's saloon on Hudson Street in Manhattan from 1906 to the late 1970s. The author of numerous articles on Irish American history, as well as the novella An Affair of Concoctions and the poetry collection Love and Maladies, he lives in St. Petersburg, FL.